Reusable face cleansing pads which are the perfect zero-waste alternative to disposable cotton pads and wet wipes. 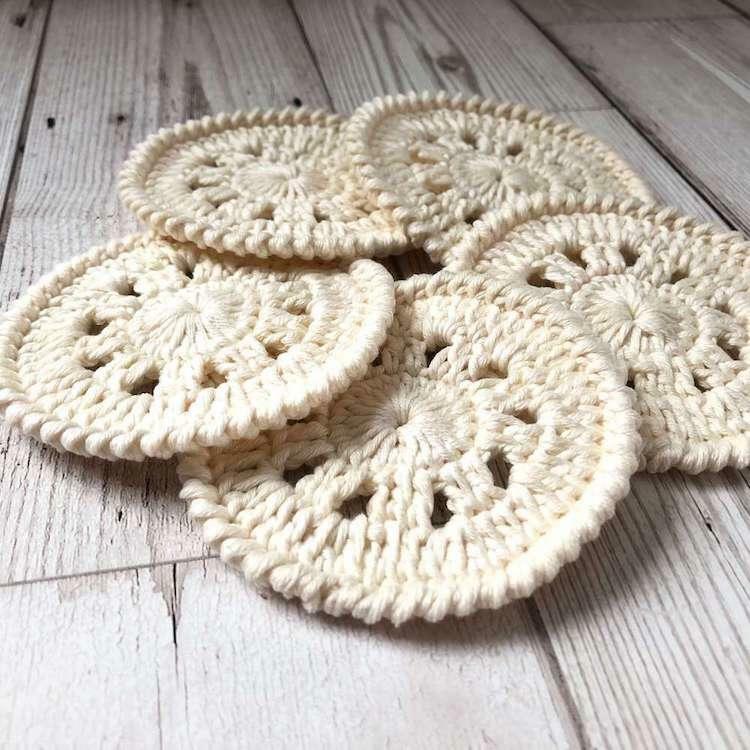 The soft 100% premium cotton pads are hand-crocheted in the UK and can be used as makeup remover pads. 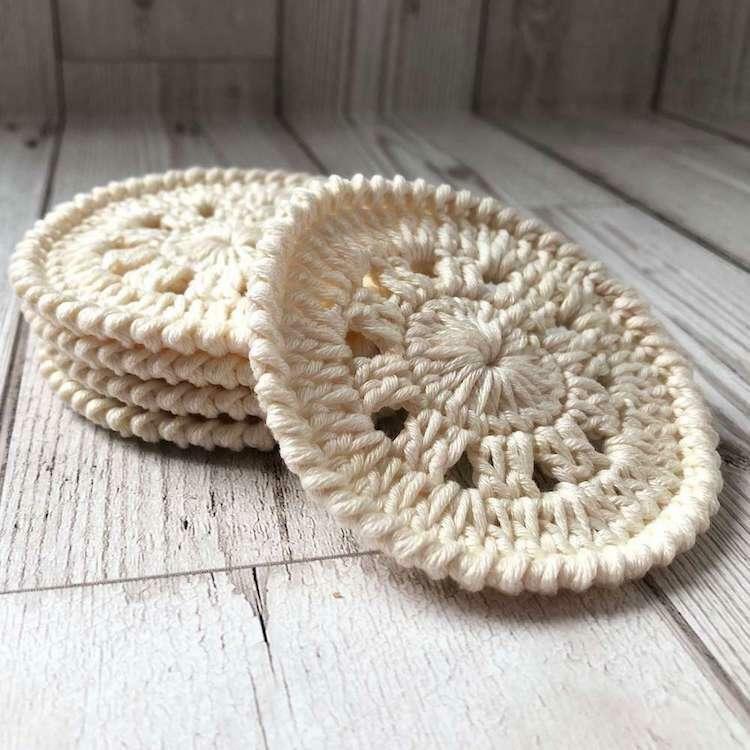 The design is unique to Hookaway4crochet and the rolled edge is perfect for extra exfoliation and getting into hard to cleanse areas around your eyes and nose, and the spaces allow for extra bubbles to make the most of your soap. You can buy these exfoliating face scrubbies either as a set of 5 or as a set of 10 with storage bag. Available in ivory or black with the black being exclusively made for Wearth. Durable and machine washable meaning you can re-use and save money over time. Product Packaging - Brown paper bag, secured with a logo sticker. 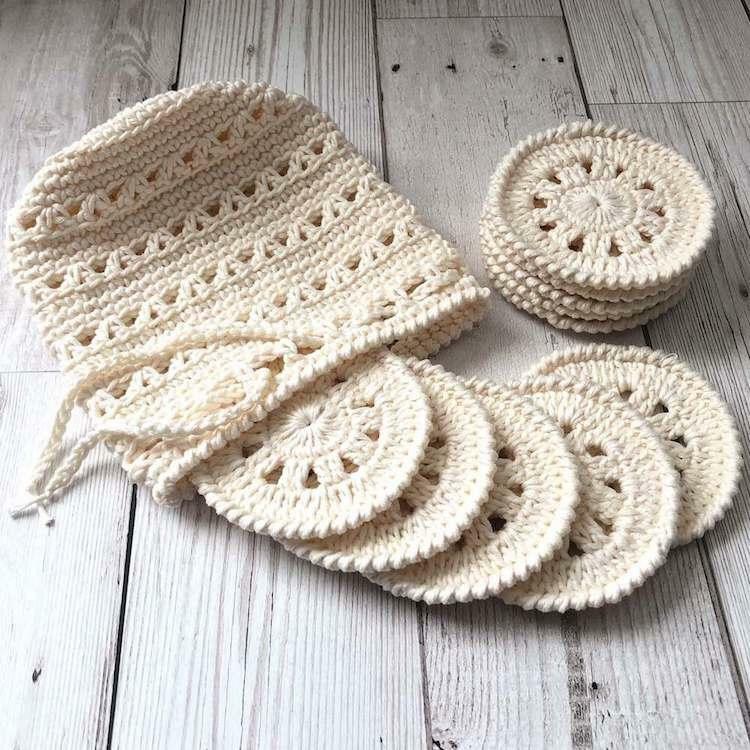 HookAway4Crochet is the creative outlet of Zoe who wanted to combine her love of crocheting and her passion to live a more zero waste lifestyle by making eco-friendly beauty and cosmetic accessories which help to reduce plastic waste. 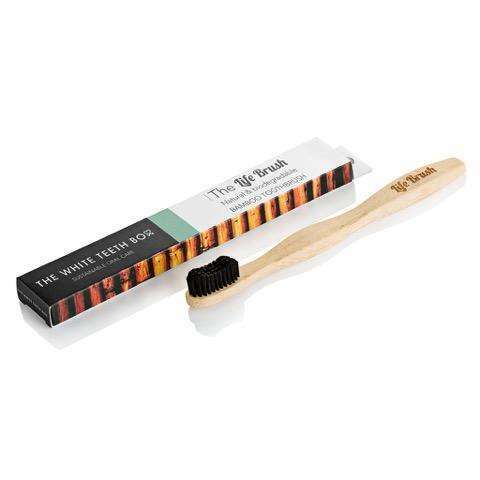 Each of her products are skilfully made by hand in the UK by Zoe and can be cleaned and reused over and over again, making it easy to have a more plastic-free bathroom routine. 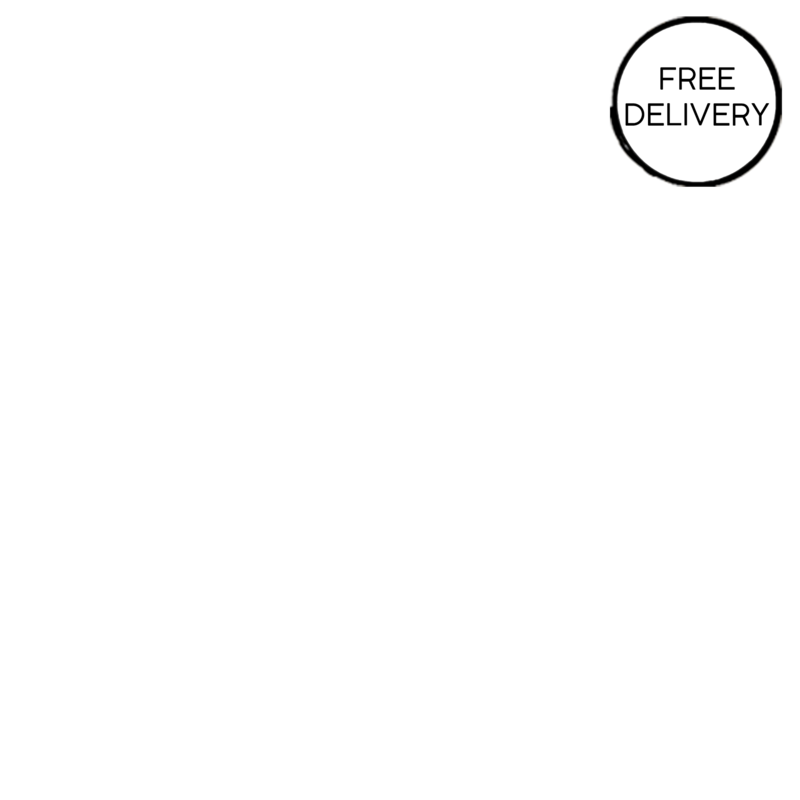 Delivery Packaging - Cardboard box and tissue paper.